Lancaster Dental Group always appreciates feedback from our valued patients. To date, we’re thrilled to have collected 8 reviews with an average rating of 5 out of 5 stars. 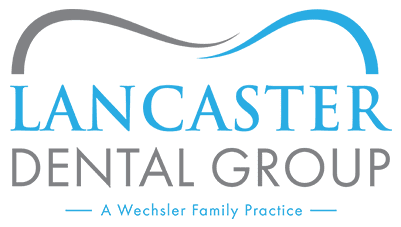 Please read what others are saying about Lancaster Dental Group below, and as always, we would love to collect your feedback. Dr. Phil and staff are always pleasant and never do I have to wait. I’ve been a patient for 30 yrs, always happy to leave the office. This was know doubt the most professional dental experience I’ve encountered. The shame is I had to wait until I was seventy-five (75) to enjoy a dental visit. Always a pleasure. Dr. Phil is great. Thorough, very competent and always explains when I ask questions relating to my office visit. Great team all around, very kind and gentle. Front staff is great. Dr. Phil was willing to spend extra time to help me decide what option to take to restore my mouth where a tooth needed to be extracted. The staff at the front have always been friendly and helpful. All the dental assistants are awesome as well. This dental office has treated me well over more than 30 years. I highly recommend them. I love Doctor Mitch and the staff at Lancaster Dental! Always quality care and friendly service. I recommend this office to everyone I know.